We periodically update this post with the current price of stamps. I found an awesome deal on something you might not expect — stamps. I had no idea you could save this much money on postage stamps. I’ve learned how to buy them for only $0.42 each. That’s almost as cheap as when I was a kid! There’s no catch. I’m talking first-class, Forever Stamps — and it’s super simple. The going rate for a forever stamp from the U.S. Postal Service is $0.49. Here’s how you can save 10%. Here’s how it works: The first step is to get familiar with Ebay. You’ll see hundreds of auctions on eBay for unused postage stamps. Like most eBay products, they’re cheaper than the retail price. You can buy as little as a sheet (20 stamps) or you can buy several dozen rolls (100 stamps) at a time. I recommend buying at least one roll. The larger the lot size, the bigger your discount. For example, this roll of 100 Forever Stamps sold for $45. That makes the rate per stamp 45 cents — or about a 4% discount. On top of these savings, when you shop at eBay, you can enroll to earn eBay Bucks on qualifying purchases. Once enrolled, you automatically earn a percentage of the item price back. When you earn $5 or more in a three-month period, you’ll receive an eBay Bucks Certificate you can use on the site within 30 days. That’s free money to spend on eBay! That’s all pretty good, but you can get your stamps even cheaper by stacking deals. Check Cashbackholic to find the best cash back deal for eBay. They’ll vary from day to day. As of this writing, the best deal is up to 5% cashback through Ebates. Once you find the best rebate site, search for Forever Stamps on eBay through that site to earn your rewards. At 5% cashback on this $45 auction, you’ll save another $2.25. That brings the price per stamp down to 42.75 cents. This is one of my favorite deal-stacking tips. With a cash back credit card, you get money just for purchasing things you would buy anyway. Save another 1% with your card, and you’re paying only $42.30 for 100 stamps — just 42.3 cents per stamp. That’s almost 5 cents savings per stamp — or, the cost of a stamp in 2008. You might not think to look for rewards and discounts on items like this, but think about the money — and hassle — you can save! How much first-class mail do you send each month? One hundred stamps could go pretty far — you could be set up for months for about $40. 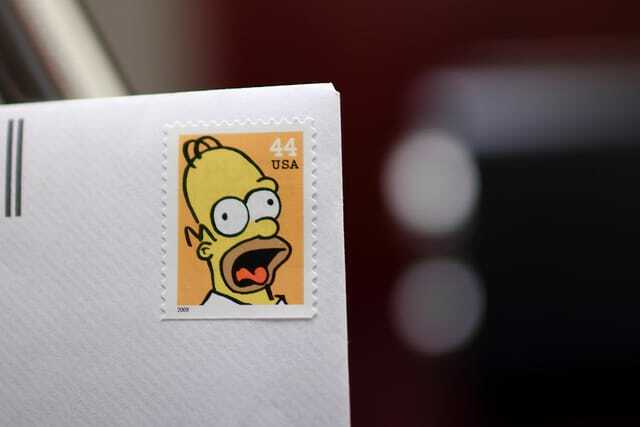 Your Turn: How quickly do you go through stamps these days? Would you buy stamps through eBay to save time and money?